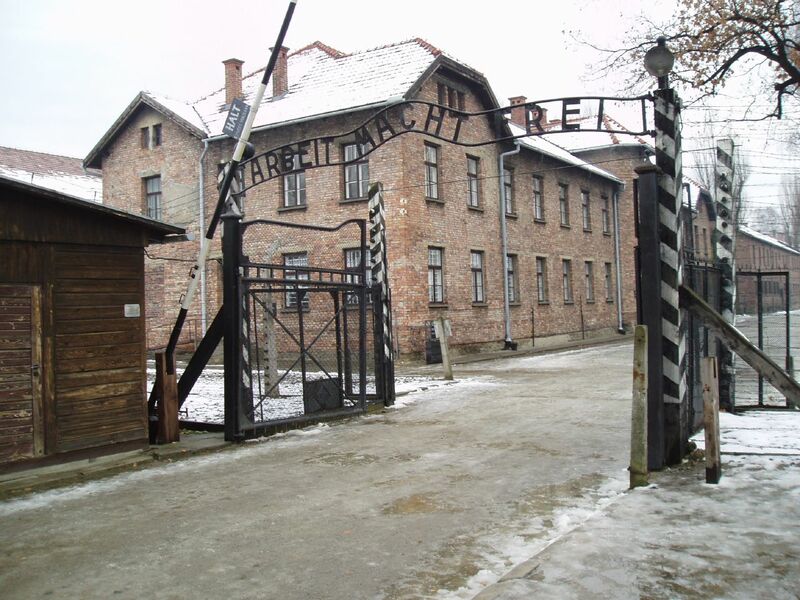 The first concentration camp is built in Nazi Germany (Dachau), the first prisoners were the political opponents. Books by Jews and opponents of Nazism are burned publicly. In all German schools it is officially taught that "non-aryans" are racially inferior. Jewish children are prohibited to join in "Aryan" sports club, orchestras and other extracurricular activities. They are also banned from the playground and swimming pools. First major wave of arrests of homosexuals occurs throughout Germany, continuing into November. Jehova's witnesses are banned from civil service jobs and arrested through Germany. 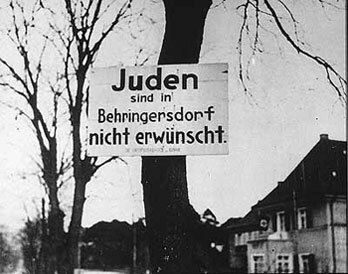 "No Jews" signs and notices are being posted outside German towns and villages, and also outside shops and restaurants. In Germany Laws were made so Jews weren't allowed to marry a German citizen, have sexual relationships between Germans and Jews. Jews were not permitted ti employ female German citizens under the age of 45 to work for them. 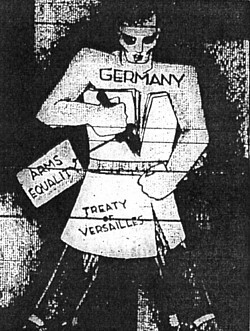 No Jews were allowed to be a German citizen and also Jews were prohibited to join the German armed forces. The Olympic games takes place in Berlin. Anti-Jewish signs are taken off until the games are finished. Jews are allowed to obtain passports for travel outside of Germany only in special cases. The Nazi's carried out something which was called the "night of the broken glass". 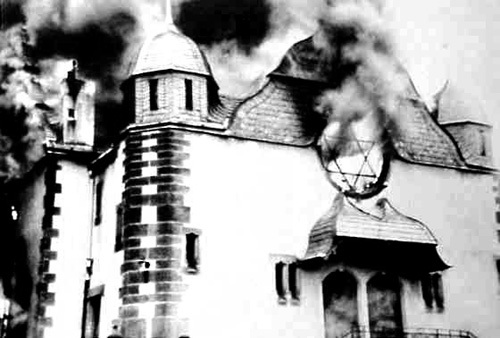 Where Nazi stormtroopers broke into, and smashed up, thousands of jewish shops around Germany. 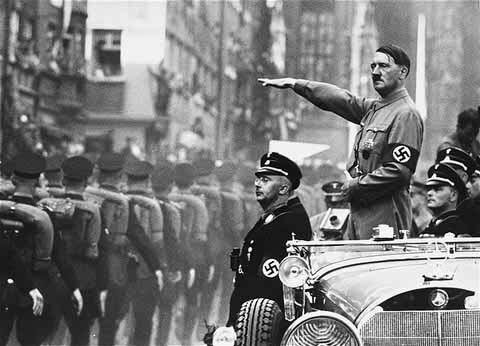 Jews were murdered and in some places ordinary Germans joined in and help the storm troopers. German Jews are ordered to pay one billion Reichsmarks in reparations for damages of Kristallinacht. All Jewish children are expelled from German schools and can attend only separate jewish schools. Jews must sell their businesses and real estate and hand over their jewellery to the government for very low prices. Jews may no longer are allowed to attend university as teachers or students. Two-thousand Gypsy males above the age of 16 are arrested in Burgenland Province (formerly Austria) and sent to Dachau and Buchenwald concentration camps; 1,000 Gypsy girls and women above the age of 15 are arrested and sent to the Ravensbruck concentration camp. Jews are forced to turn in electrical objects to the police. Jews also receive less ration coupons for meat, milk etc. They also receive less ration coupons for clothing. Germans force Jews in Poland to wear a yellow Star of David on their chests or a blue-and-white Star of David armband. Approximately 160,000 or more Polish Jews were gassed to death and are imprisoned in the Lodz Ghetto. Romania makes new Law making adult Jews to be force to work. 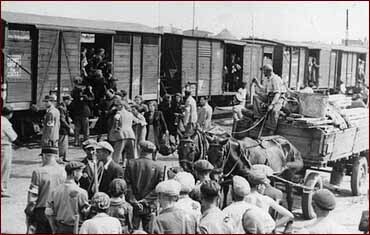 Approximately, thousands of jews who had arrived in Lodz ghetto had their baggage confiscated before they even board the train. Jews are required to wear the Stars of David in France and Netherlands. Around fifteen thousand Jews in Lodz Ghetto are moved to Chelmno, mostly children under ten and individual over sixty-five. 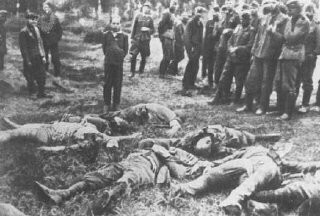 And by September 16, around fifty thousand Jews were moved to the death camp in Chelmno. 16 Jews who were going to be moved from Warsaw ghetto to a German death camp but they resisted and fight back from deporting to the death camp. The Nazis ordered for the Ghettos in Soviet Union and Poland to be destroyed. 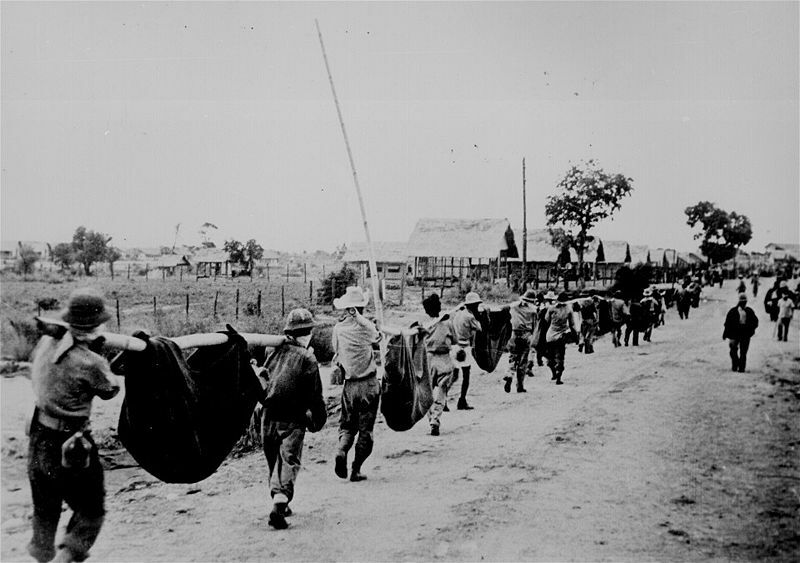 United states went in and saved the survivors from Buchenwald and Dachau concentration camps.